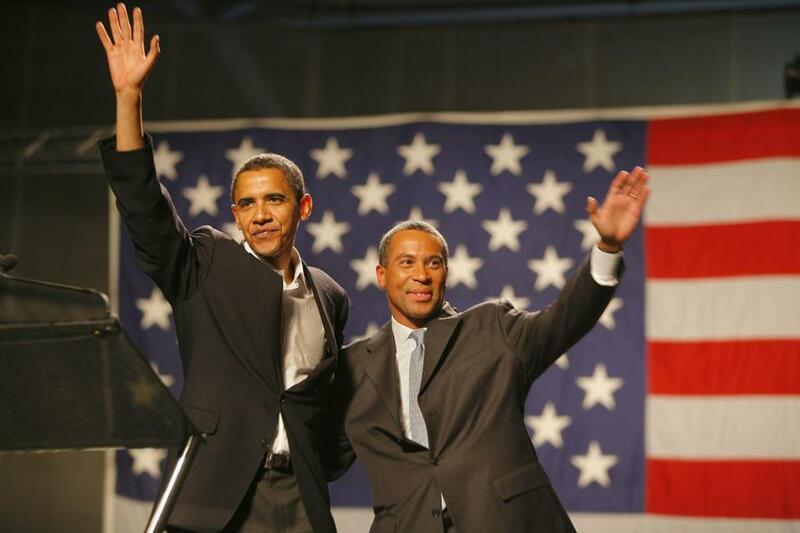 US Senator Barack Obama and candidate for Massachusetts governor Deval Patrick at a rally at the Reggie Lewis Center in November 2006. If he had run, he would have been the person who irked Warren the most by his mere presence. On the Republican side, Governor Charlie Baker swears to anyone who’ll listen that he has no interest in higher office — but anti-Trump Republicans are openly looking for someone to challenge the president in the 2020 GOP primaries. On the Democratic side, though, lack of competition won’t be a problem in 2020. 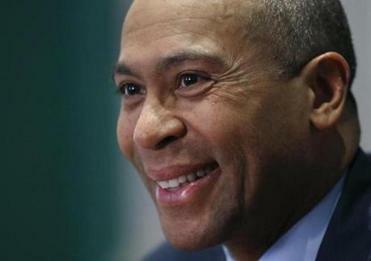 With or without the Massachusetts candidates, it appears the party will have a wide-open, racially and ideologically diverse field. Rumored candidates include former vice president Joe Biden; US Senators Kamala Harris, Kirsten Gillibrand, Sherrod Brown, Bernie Sanders, and Cory Booker; US Representatives Beto O’Rourke and Tim Ryan; Governors Andrew Cuomo, Jay Inslee, John Hickenlooper, and Steve Bullock; former Starbucks CEO Howard Schultz; former New York City mayor Michael Bloomberg; and New Orleans Mayor Mitch Landrieu. We’ve undoubtedly missed some. If even half those candidates get in the race, though, Democrats in Iowa, New Hampshire, and the rest of the country will have the widest range of choices in decades. Warren missed her moment in 2016, and there’s reason to be skeptical of her prospective candidacy in 2020. While Warren won reelection, her margin of victory in November suggests there’s a ceiling on her popularity; Baker garnered more votes than she did in a state that is supposed to be a Democratic haven. Meanwhile, a September poll indicated that Massachusetts voters were more enthusiastic about Patrick making a White House bid than Warren. Politicians who “explore” or “consider” presidential campaigns set in motion a machine that can be hard to stop. Patrick did, and that’s to his credit. There’s no shame in testing the waters and deciding to stay on the beach.